Alpha leads the craft beer industry through quality, innovation, service, project management, longer warranty and shorter lead time. Turn-key operations are our specialty. 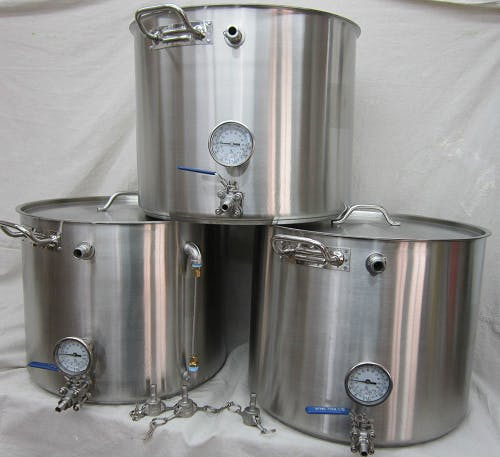 We outfit small brew pubs to regional breweries from 1 to 50bbl brew house capacity in 2, 3 and 4 vessel configurations. Alpha supplies cellar tanks up to 200bbl. Alpha also manufactures keg washers, keg fillers, grist mills, hoppers and the Alpha Canning Systems! Alpha Brewing Operations delivers professional tools for the professional brewer whether your brewery is not yet conceived, in its infancy, or well established. If the need is a single piece, or a complete project from design to execution, Alpha is the answer. Alpha Brewing Operations charges $450 per day. All other accommodations are negotiable.